Happy Wednesday!!! 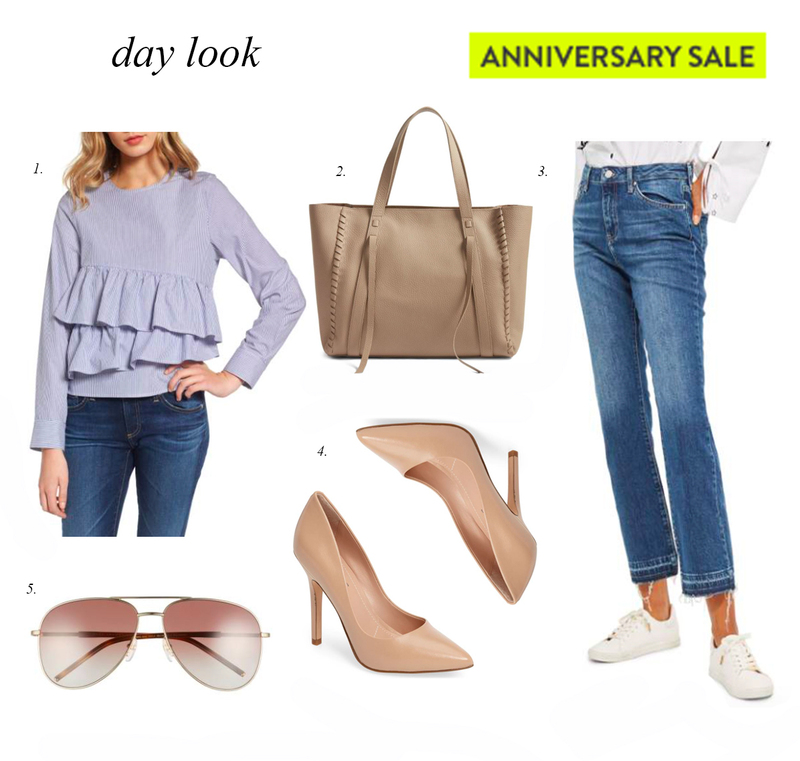 Here’s a couple different looks featuring pieces from the Nordstrom Anniversary Sale (EVERYTHING above is on sale!!!!!). I don’t know about you guys but I was so impressed with the sale this year! 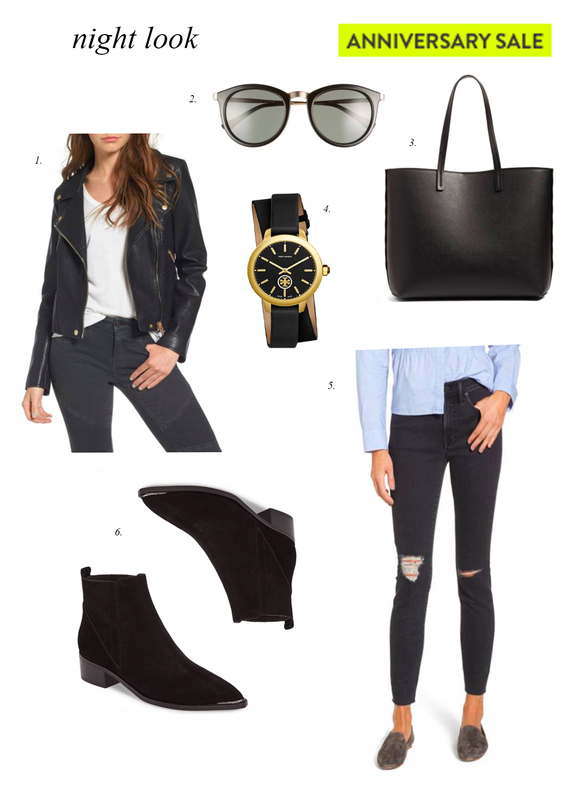 I snagged so many amazing things that I’ve been wearing nonstop! Don’t forget prices go up next Monday! 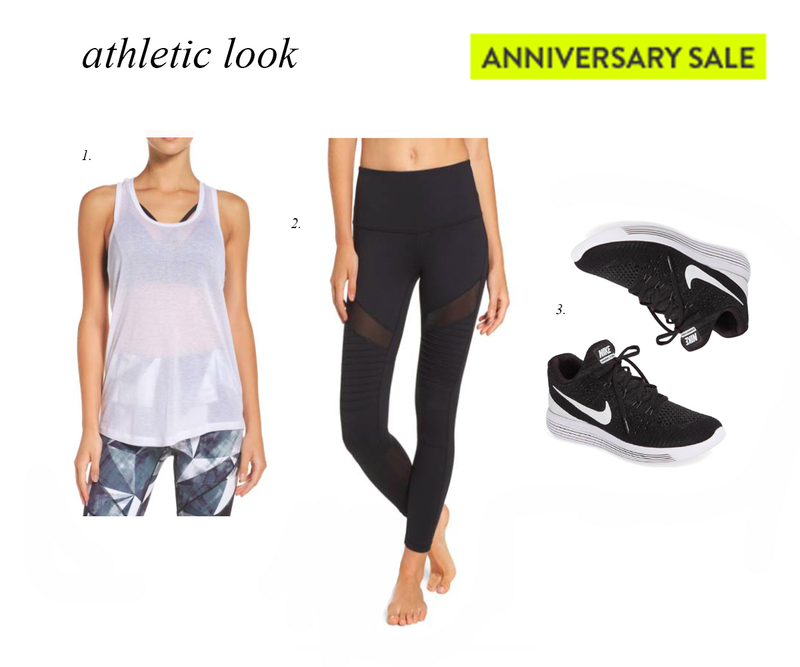 Which look is your favorite?! I love those blush heel and ruffled shirt! I love the blue ruffle top!! I didn’t originally see that but it’s so cute. I bought the Rag & Bome booties and they are so cute! I can’t wait until it cools down so I can finally wear them!! Love all of these looks! I actually purchased the bag from your Night look and I absolutely love it! It was a good buy. How do you make your collages? These looks are so cute! 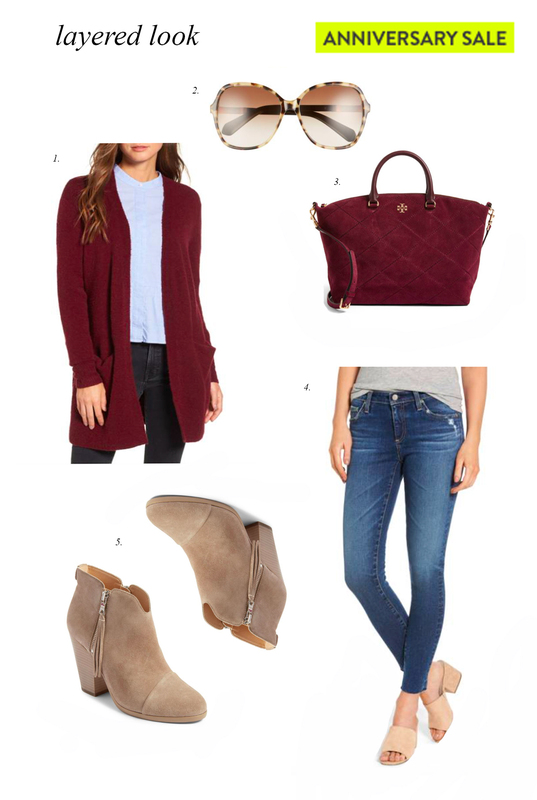 The first one is my favorite, it could be worn almost anywhere & I love beige booties! love the pieces you picked out! That blue dress in the dressy look is my favorite! Those Topshop jeans are super cute. My favorite are the day and night looks! Simple but chic!